Wondy Returns… To The Eighties! Ahh the eighties, also known as – the greatest decade in human history (I’m an 80’s kid, so a slight amount of bias may be inherent) the decade of extreme action heroes like Arnie and Sly, the start of grandly Gothic culture (yep, I was a Goth too!) the absolute best horror movies ever, and comic book sales and readership were massive thanks to marvellously mature storylines and celebrated creators, especially glorious George Perez and his ultimate take on everyone’s favourite Amazon Princess… plus Lynda Carter, returning once more as Diana… as I said greatest, decade, EVER! Hmmmm, now the only problem I can foresee with Gal’s Wondy popping up during the exhilarating eighties is the possibility of an extreme time paradox occurring should she run into Lynda Carter’s vivacious version of the Themysciran Titan. Listen Sting, could you not stand so close to me, and for the fifth time, no, I haven’t read your message in a bottle, and would you please stop calling me Roxanne!! Well bloody ‘ell, who would of thought it, Sting is a bleedin’ Constantine fan… how cool is that!? In a recent video, music maestro Sting has revealed he will be writing the foreword to the Constantine: Hellblazer 30th Anniversary Celebration. Interestingly (and bloody well meta!) Sting’s foreword will take the unique perspective of the Golden Boy, Constantine’s alternate universe twin, and will focus on his relationship with the mystic occult detective over the years. Sting fantastically captures the look and essence of the classic British comic-book character, his inclusion in the celebratory collection is a definite nod to the fact that Sting was an early inspiration to Constantine’s signature appearance. Very, bloody, cool, Indeed! The John Constantine – Hellblazer: 30th Anniversary Collection will be available to buy on October 30th. Why not join us again next time friends, for more Week In Geek. The first official reviews are in for the Wonder Woman movie, and by ‘The Mighty Chariot of Zeus’ they are universally in praise of the Themysciran Titan’s first outing on the silver screen. Currently holding a 97% rating on Rotten Tomatoes, it makes Gal Gadot and Patty Jenkins’ comic-book translated opus the highest rated Superhero movie ever… that’s right, my amazing Amazonian associates, EVER! Now, if you are a veteran agent of Precinct1313, you will no doubt be aware that we adore the Amazon Herald, with well over 50% of the posts emanating from this Malefic Mansion of Mystery centered around the exploits of Zeus’ favoured daughter. With the recent influx of new agents to the Precinct (many thanks, and welcome by the way) and with not only the highly anticipated film releasing this Friday, but also Saturday June 3 being DC’s official Wonder Woman day, we believe now is the perfect time to repost our epic journey through the Ancient Amazon Archives that took place last year (and ended up being our most successful series of articles.) It began as a fun way to introduce our WW 75th anniversary comic cover countdown, but grew into something much grander as the series went on. 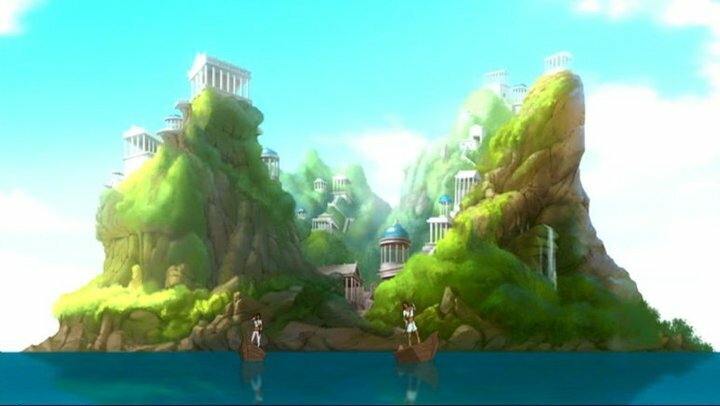 A warm breeze caresses our face as we cross a small river that quietly flows its way through the centre of the paradise island known as Themyscira. Just up ahead lies the intricately carved gateway that leads down to the ancient Amazon archives, where great tales of heroism and legends may be found, and retold in “Classic Wonder Woman” Precinct1313’s comic cover countdown to the 75th anniversary of Diana Prince. This weeks colossal cover celebrates the beginning of a new chapter for the Amazon Herald, as we join Donna Troy as the new holder of the title of Wonder Woman, in the very first issue of volume-3 of the awesome Amazon’s continuing adventures. This terrific tome is brought to you by – Writer: Allan Heinberg. Artists: Terry Dodson, Rachel Dodson, and Alex Sinclair, with the colossal cover by Terry Dodson. Released: August 2006. The tantalising tale secreted behind the captivating cover is titled “Who Is WonderWoman” and picks up one year after the catastrophic events of Infinite Crisis. Diana has stepped away from the role of Wonder Woman, passing the mantle unto Donna Troy. Donna was once known as Wonder Girl and is Diana’s exact duplicate, brought to life by the Sorceress Magala originally as a playmate for the Themysciran Princess. Donna made her first appearance in The Brave and the Bold #60″ in 1965. Created by Bob Haney and Bruno Premiani. She is most fondly remembered as a founding member of The Teen Titans, though she has also allied herself with, The Justice League, Darkstars and the WhiteLantern Corps. Join us again next time for another classic WW cover, my affable Amazonian associates! Hang on one second, I just need to catch my breath… after what was quite possibly the most enthralling and epic film trailer I have ever witnessed. Warner Bros have released one final denouement in their campaign to advertise the forthcoming big screen solo appearance of the legendary Princess of Themyscira, and Suffering Sappho it’s bloody marvellous indeed! The second trailer for next years highly anticipated (especially by us) Wonder Woman movie has now been officially released by Warner Bros, and ‘Great Hera’ it’s even more astonishing than the fantastic original! This IS Wonder Woman, the trailer captures everything we adore about the Awesome Amazon. Watch it, love it… watch it again! Wonder Woman hits the silver screen on June 09 2017. Starring: Gal Gadot, Chris Pine, Connie Nielsen, Danny Huston, Lisa Loven Kongsli, David Thewliss, Lucy Davis, Elena Anaya, Ewen Bremner, and Said Taghmaoui. Screenplay by: Geoff Johns and Allan Heinberg. Directed by: Patty Jenkins. Welcome fellow agents of Precinct1313 to an extra special celebratory episode of ‘The Week In Geek’ where we share our favourite Comic Book, Video Game, and Cult Movie news for your perusal and pleasure. And ‘Great Hera’ do we have some awesome Amazonian articles to share with you, in our ongoing celebration of the Themysciran Titan’s 75th anniversary. ‘By the labyrinthian lair of the mighty Minotaur’ was Friday 21 of October an awesome day in the annals of Comic-Book history, not only did we celebrate the 75th anniversary of the world’s foremost female Superhero, but also, awesome Amazons; Lynda Carter and Gal Gadot came together to tag team the United Nations and accept the award for ‘Honorary Ambassador For The Empowerment Of Women And Girls’ on behalf of the Princess of Themyscira. Also present at the monumental meeting were: Diane Nelson – President of DC Entertainment, Patty Jenkins – Film Director of the upcoming 2017 Wonder Woman movie, and Christie Marston – Granddaughter of Wonder Woman’s creator William Moulton Marston. Seven and a half decades of arse-kicking Amazon awesomeness will come together in collective Comic-Book form on October 26 when DC Comics release the ‘Wonder Woman Anniversary Special’. An illustrious 80 page issue celebrating the phenomenal Themysciran Princess, that brings together a cadre of classic creators including; Gail Simone, Brian Azzarello, Adam Hughes, Jill Thompson, Jim Lee, Karl Kerschl, plus many, many more. So grab your Golden Lasso of Truth, hop into your Invisible Plane, and zoom on down to your local comic book emporium this Wednesday to ask… nay demand your copy of this titanic tome, and indulge in it’s Eleusinian Mysteries! By The Fires Of Tartarus, This Is Awesome! Director Zack Snyder unleashed a brand new image of the Astonishing Amazon in celebration of her 75 years of heroic heraldry from his upcoming 2017 Justice League movie. The image was shown last Friday in her honour at the United Nations celebrations. Justice League debuts at cinemas on November 17 2017, and also stars Ben Affleck as The Batman, Ezra Miller as The Flash, Henry Cavill as Superman, Jason Momoa as Aquaman, and Ray Fisher as Cyborg. ‘By the horns of Amalthea’ why not join us next time friends for more Week in Geek. Wonder Woman’s solo cinematic debut is still well over a year away from theatrical release, but we can console ourselves with these recent set pictures of Gal Gadot’s Princess Diana and her sister Amazons on the Paradise Island of Themyscira. The pictures were taken during filming in Italy, in the Basilicata region, primarily Lucania. These territories include many ancient locations including the city of Mattera, where the 1959 Charlton Heston led “Ben Hur” was filmed. These southern Italian areas are perfect for the depiction of the tranquil idyll that is Themyscira Island. The highly anticipated 2017 movie recently transferred shooting to Italy after a long period filming its turn of the century World War One sequences in the UK. A large majority of the film will chart the amazing Amazon’s experiences in dealing with the once forbidden outside world, during the great war of 1914. It is during this time that she will first meet future love interest, Colonel Steve Trevor (Chris Pine) who will be introduced in an iconic scene ripped straight from comic book lore as he crash lands on the secret island of Themyscira. This paradigmatic meeting between the Themysciran Princess and the American service man has been told and retold many times throughout Wonder Woman’s almost 75 years of existence, in comic book, animated and live action forms with the latter performed by the lovely Lynda Carter and her co-star Lyle Waggoner in the seventies and early eighties Wonder Woman television series. This event was also the catalyst for Diana becoming Wonder Woman and leaving the ancient Island to travel to the outside world for the first time as the Amazon’s herald. Wonder Woman (Lynda Carter) and Steve Trevor (Lyle Waggoner) From The Classic 70’s and 80’s TV Series. Queen Hippolyta, Artemis and the Amazons confront downed pilot, Steve Trevor in the (highly recommended) 2009 animated origin story. Wonder Woman is due to be released theatrically in June, 2017. Directed by Patty Jenkins, and starring Gal Gadot, Chris Pine, Connie Nielsen, Robin Wright, Danny Huston, David Thewliss, Ewen Bremner, Elena Anaya, Lucy Davis, Said Taghmaoui and Lisa Kongsli. The paradise island of Themyscira beckons us to its shores in this first official image from next year’s highly anticipated Wonder Woman movie. Themyscira is the ancient home of the Amazons, a race of immortal warrior women created by the Greek Gods of Olympus over three thousand years ago. Hidden from the outside world, the Amazons have lived on the paradise island untouched by society for millennia, where they have perfected their skills as artisans and warriors. The above image, courtesy of Entertainment Weekly, shows Diana flanked by her Mother; Queen Hippolyta (Connie Nielsen), General Antiope (Robin Wright), and Menalippe (Lisa Kongsli). Wonder Woman’s solo movie is due to be released on June 23, 2017. Starring: Gal Gadot, Chris Pine, Connie Nielsen, Robin Wright, Danny Huston, David Thewlis and Ewen Bremner. Directed by: Patty Jenkins. The waves gently lap at the golden shores of the paradise island known as Themyscira, this idyllic setting is the ancient home of the Amazons, a race of immortal warrior women created by the Greek Gods of Olympus over three thousand years ago. Hidden from the outside world, the Amazons lived on Themyscira untouched by society for millennia, perfecting their skills as warriors and artisans. Warner Brothers are readying their team to begin production on the 2017 film “Wonder Woman” and news surfaced today of the possible location of the Amazons’ secret island of Themyscira. 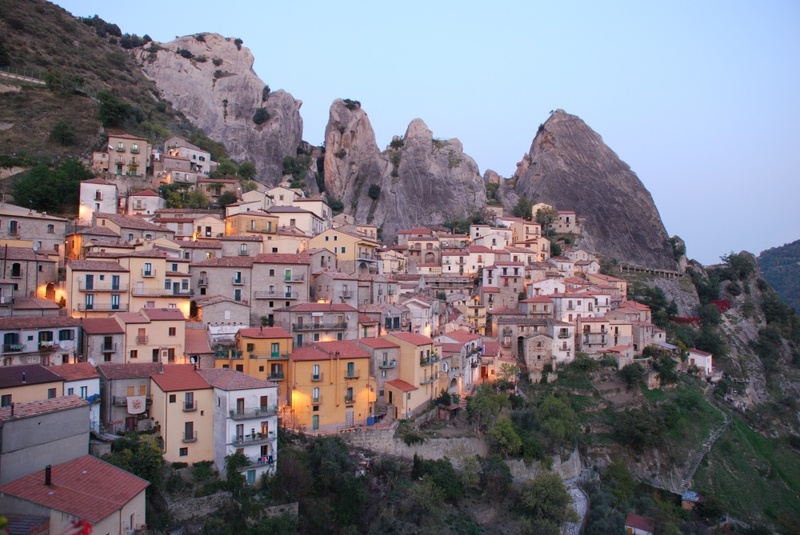 Basilicata is a region in the south of Italy, set amongst the beautiful mountainous area of the Apennines. During Greek and Roman ages it was known as Lucania, named after the ancient Greek tribes of the region, and is now looking like it will also double as the utopian isle of the fabled Amazons. The film is initially being produced under the name Nightingale, a possible reference to the character Seiji Kato, an Earth 2 assassin who made her first appearance in Wonder Woman #317 in 1984. Starring Gal Gadot as the titular heroine and actor Chris Pine as Steve Trevor, the film is being directed by Patty Jenkins, written by Jason Fuchs and filmed by Hoyte Van Hoytema, director of photography on productions such as Interstellar and The Fighter. Stay tuned for more news on the exciting development of Diana’s first big screen outing, fellow fans of the amazing Amazon. Wonder Woman, Themyscira, Steve Trevor and Seiji Kato are copyright: DC Comics.